Having kids changes the way you travel and makes you truly embrace the journey. Pre-kids, we'd drive all day stopping only briefly to fuel up our car or bellies. With children in tow, we quickly learned it's not that easy (or pleasant). As a result, we've done more exploring close to home and gotten to know Alberta quite well. 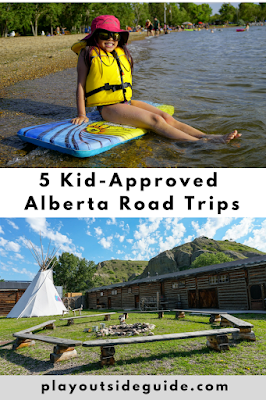 Here are five kid-approved road trips in southern Alberta you should put on your #BucketlistAB. Stay a night and see a sight! Kinbrook Island Provincial Park is an oasis on the prairies with a beautiful sandy beach and swimming area. Paddle, sunbathe, or build a sand castle, while keeping your ears open for the ice cream truck. There's a playground, campground, and wetlands interpretive trail (good for bird watching) in the park too. If you fish, you'll be happy to know that Lake Newell is stocked with walleye! Read more about summer fun at Kinbrook Island on ZenSeekers: Dive into hot summer days in this beachy paradise called Newell by the Water. Where to Stay: Canalta Brooks, Kinbrook Island Provincial Park Campground, or Lake Newell Resort.Rolling Hills Campground is also nearby. Nearby Attractions: The Brooks Aqueduct, a provincial and national historic site, is 15 minutes from Kinbrook Island Provincial Park. When it was built, 90 years ago, it was the largest concrete structure of its kind worldwide. Dinosaur Provincial Park is 45 minutes away; a bit far, but worth it. Sign up for a dinosaur dig or tour for the best experience. Escape the ordinary in Waterton Lakes National Park where bighorn sheep and deer roam the streets. 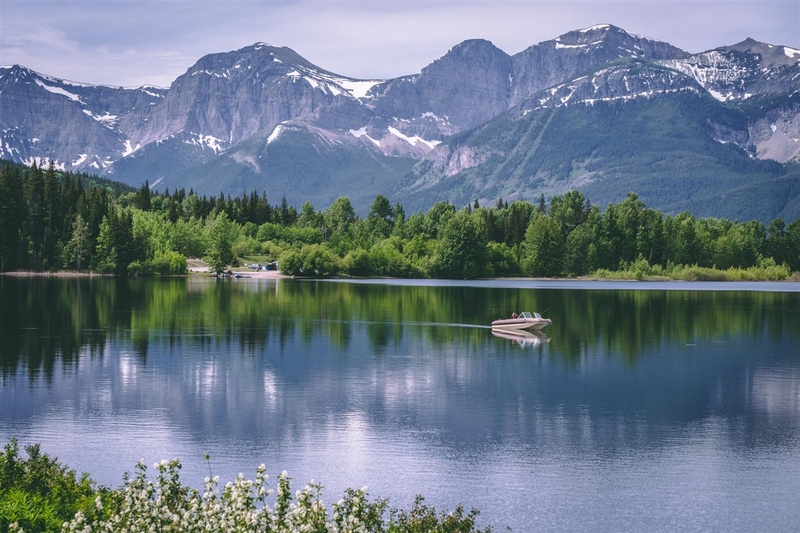 After a day of hiking or biking through meadows of wildflowers (the Kootenai Brown paved trail is great for families with school-age kids), indulge in a hot dog with the works at Wieners of Waterton, then hit the Big Scoop Ice Cream Parlour for dessert. 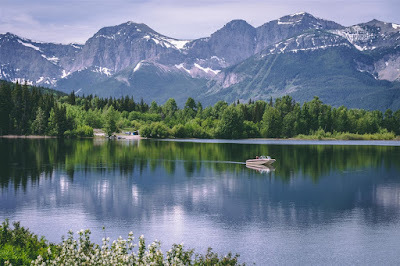 The next day, rent a Surrey Bike from Pat's to tour the townsite, go on a trail ride, or take the Waterton Lake Cruise to the south end of the lake (and the Crypt Lake trailhead). 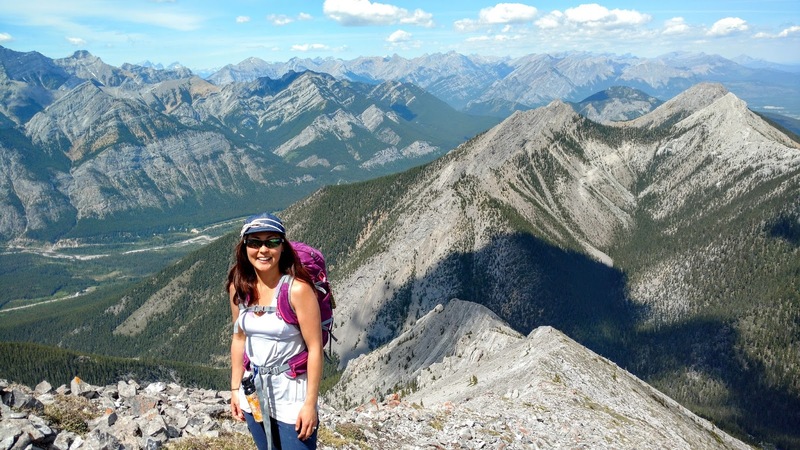 Get inspired by this story on ZenSeekers: 5 Ways to Find Your Zen in Waterton. 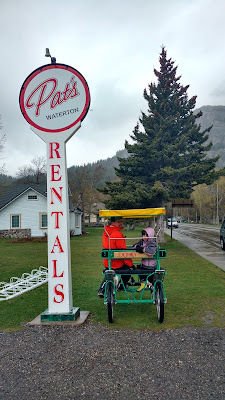 Rent a Surrey Bike from Pat's in Waterton! So fun! 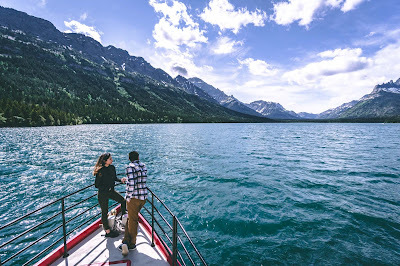 Where to Stay: Pincher Creek Ramada, various hotels in Waterton, or Waterton Townsite Campground. Nearby Attractions: Remington Carriage Museum is located about 40 minutes from Waterton in the small town of Cardston. Check out the largest public carriage collection in the world, learn about pre-car transportation, then visit the restoration workshop and take a carriage ride. Read more on ZenSeekers here. Cypress Hills Provincial Park is a hidden gem in the southeast corner of the province. I held off going for years because it seemed too far, but there's a ton of fun stuff to do there! (I've been twice this year already.) 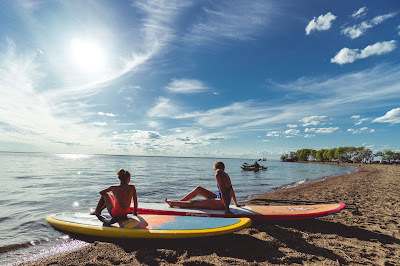 The park makes it really easy to get out and enjoy nature with lakeside rentals (mountain bikes, tandem bikes, canoes, kayaks, stand-up paddleboards), guided trips, and interpretive programs. Learn to fish, mountain bike, paddle, identify edible plants and more! My kids love the sandy beaches, free mini golf, and lakeside boardwalk. 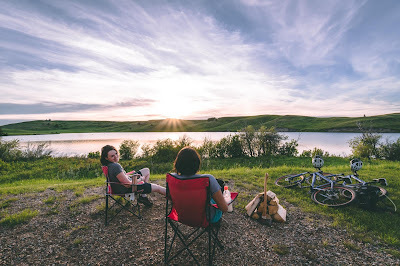 Check out this itinerary on ZenSeekers: Two-day itinerary for biking, boating and comfort camping in Cypress Hills. Where to Stay: Elkwood Campground and Firerock Campground are closest to Elkwater Lake, but there are 10 more campgrounds to choose from. There is also comfort camping if you prefer. Check out Alberta Parks - Cypress Hills - Comfort Camping for more information. If you'd like to day trip from Medicine Hat, the Hamptons Inn and Suites is new and nice. 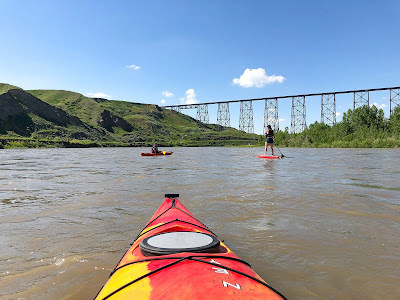 Nearby Attractions: Hip and friendly Medicine Hat is about 55 minutes north of Cypress Hills Provincial Park (en route if driving from Calgary). It is home to several craft microbreweries, indie coffee roasteries, great biking, and some unique attractions like Medalta and the Esplanade Museum. Read more on ZenSeekers here. Castle Provincial Park is Alberta's newest park and as such, has made some exciting announcements over the past year. Campgrounds have been upgraded, information kiosks and signage have been installed, and there are five new cabins at Beaver Mines Lake! On most days of the week there is all-ages interpretive programming at Beaver Mines Lake, Syncline South, and Castle Falls. Learn to fish, improve your mountain biking skills, or attend a campfire program. My girls really enjoyed learning about edible plants and hearing our guide's stories when we were at Castle earlier this year. 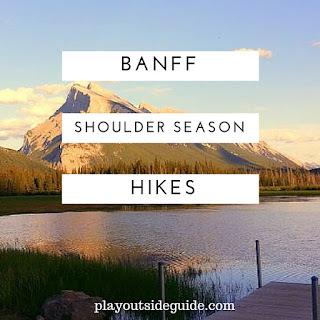 Discover more things to do at Castle Provincial Park on ZenSeekers: Accessibility at its finest: Castle Provincial Park truly for everyone. 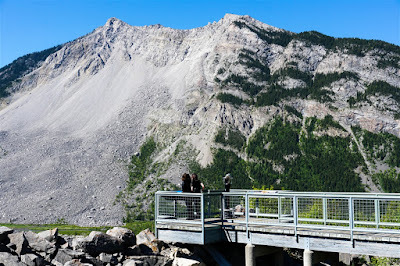 Nearby Attractions (more info on ZenSeekers): Frank Slide Interpretive Centre is 42 minutes from Castle Provincial Park. The site of Canada's deadliest natural disaster illustrates the power of nature and the human spirit. 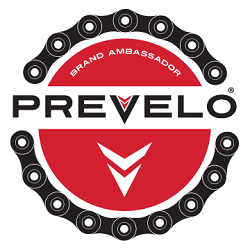 Bike the Crowsnest Pass community trail from Frank Slide to Bellevue then go underground on a memorable mine tour. 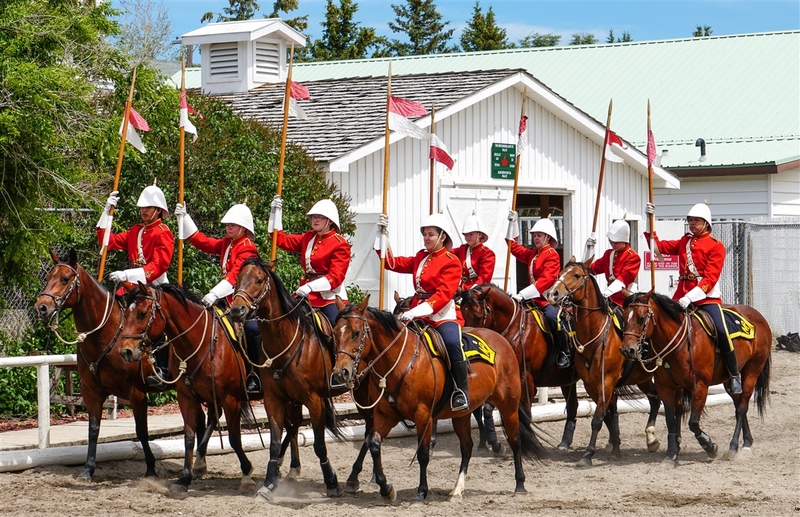 On your way home, visit the Kootenai-Brown Pioneer Village in Pincher Creek, or make a detour to Fort Macleod to check out The Fort Museum and NWMP Musical Ride. Less than two hours from Calgary, Lethbridge is a fun destination for all ages. 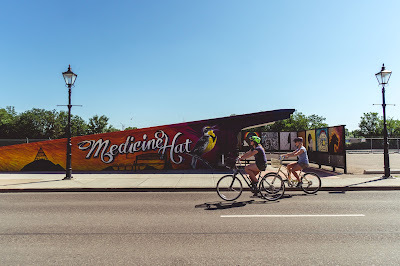 Whether you want to explore the Old Man River valley, learn about local history, do some biking, or get some good eats, the city offers a nice balance between cultural and recreational opportunities. Visit Nikka Yuko Japanese Gardens and learn to fold origami and put on a kimono; check out Fort Whoop-Up, "founded by scoundrels"; bike along the coulees; paddle under the world's longest and highest trestle bridge; or visit Helen Schuler Nature Centre. Find out how to stay cool in Lethbridge this summer on ZenSeekers: Splash down in Lethbridge. Nearby Attractions: The Alberta Birds of Prey Foundation in Coaldale (20 minutes away), located on 70 acres of wetland,boasts flight demonstrations of North America's fastest birds, a hawk walk, an amazing visitor centre, and the chance to take a photo with a trained owl. Your family won't forget it! The Fort Museum and NWMP Musical Ride in Fort Macleod is also a must-see. Learn about these #BucketlistAB destinations (and many others!) at www.BucketlistAB.ca. Check out Visit Newell to start planning your road trip. Go to the My Waterton website to book your lake cruise, trail ride, or lodging. Drop by Tourism Medicine Hat and discover the best places to explore in town. 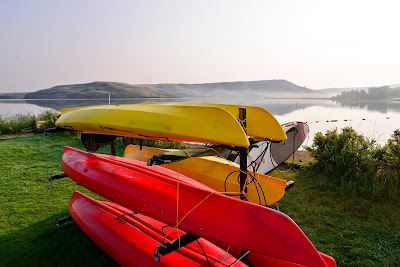 Visit Alberta Parks - Cypress Hills to learn about fun things to do in Cypress Hills Provincial Park. Check out Alberta Parks - Castle Provincial Park to start planning your trip. Go to Tourism Lethbridge for things to do in the area. 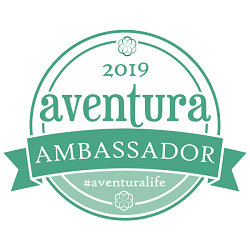 Canalta Hotels has partnered with a collection of destinations across Southern Alberta to save you money on local attractions: Stay a Night & See a Sight. 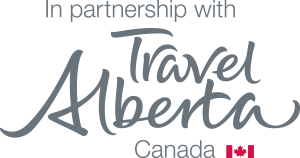 Visit Travel Alberta for more information on things to do and places to see in southern Alberta. Thank you to Chris Istace | Mindful Explorer and Matt Bailey of Must Do Canada for these great stories!